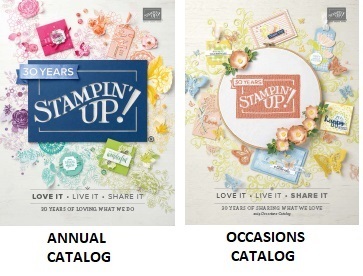 Almost every stamp we sell in both the Main Catalog and the Holiday Catalog will be 15% off (from 12am (MT) to 11:50PM (MT) This includes personalized stamps and cookie stamps but not hostess sets or bundled products. and have it sent directly to your house. I plan to take advantage of this 1-day sale myself! 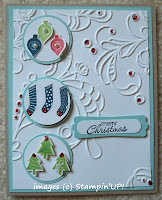 I got these 2 cute cards from 2 of my downline. I love doing demo trades because I get samples using sets I don't own (yet). 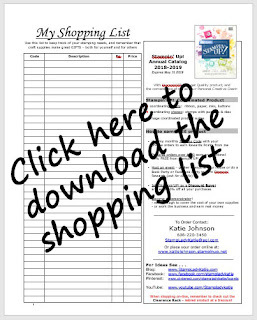 But I plan to take advantage of this 15% off sale to get a few sets that are on my Wish List! 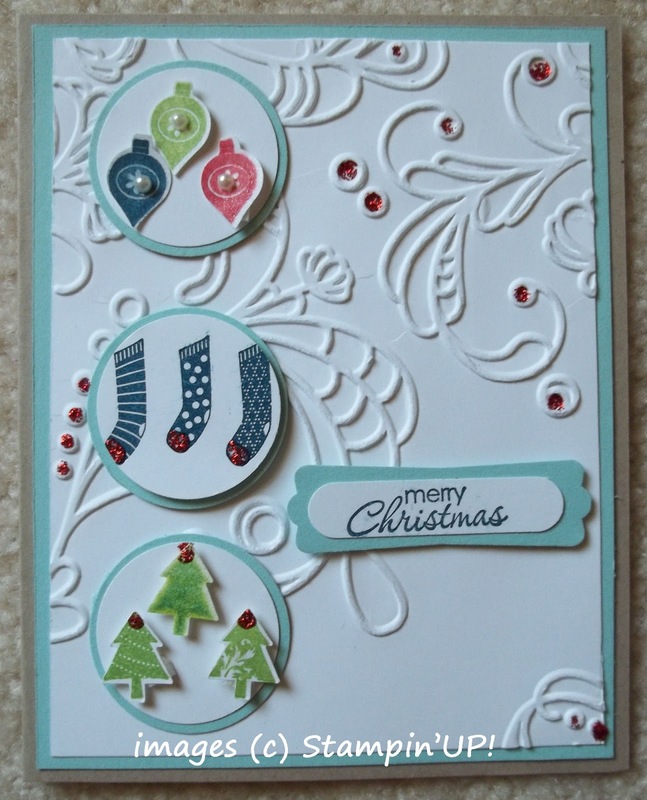 The card above was made by Sue Adams and it uses the stamp set Merry Mini's. Did you wonder at how perfectly the images are cut out. No Fussy cutting here! 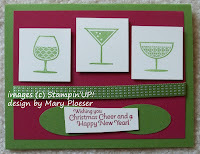 This stamp set has a matching punch set - yay! 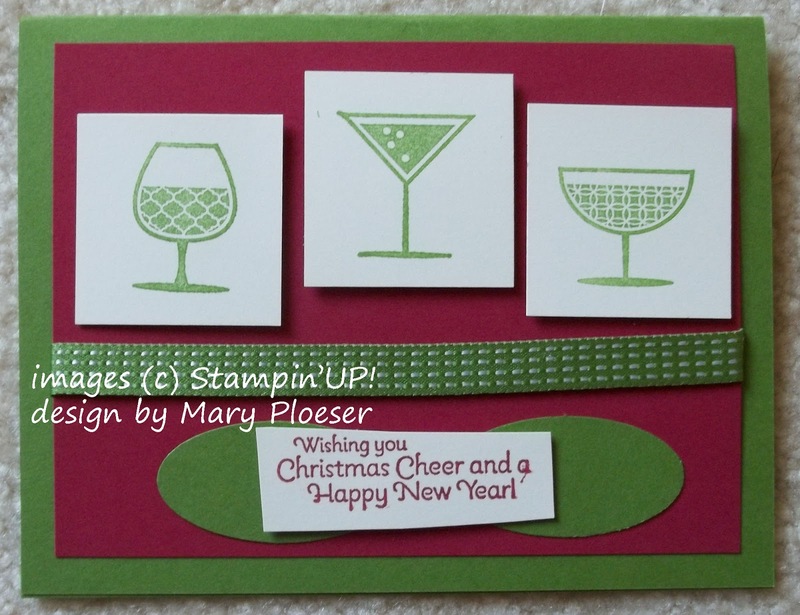 The card below was made by Mary Ploeser and it uses the stamp set: Happy Hour. 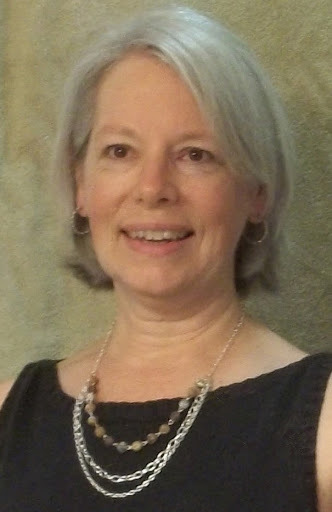 What a lovely, simple (read easy - yay!) way to send someone some warm holiday wishes. but the stamp sale is 1-day only . . . so act today!